Jackie Turner is an environmental scientist and journalist. She is crowdfunding for the film provisionally titled 'Bananageddon', and lives in London. You probably take bananas for granted. 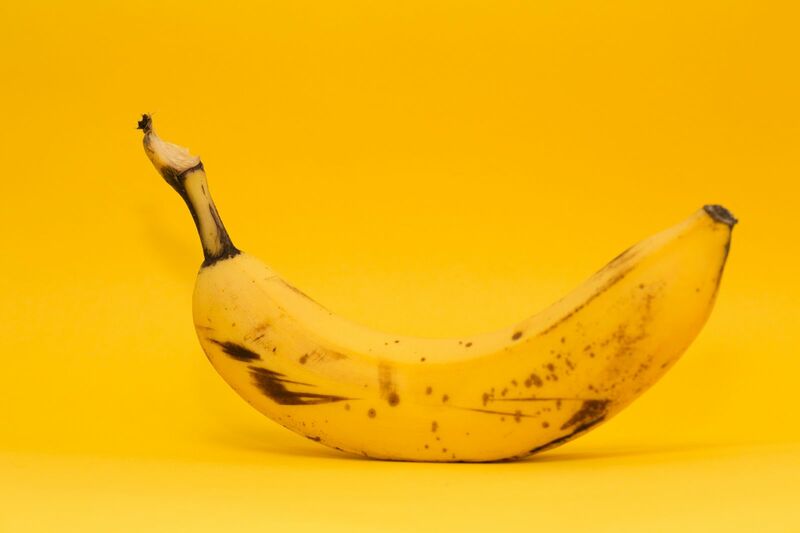 In the United Kingdom, one in four pieces of fruit consumed is a banana and, on average, each Briton eats 10 kg of bananas per year; in the United States, that’s 12 kg, or up to 100 bananas. When I ask people, most seem to think bananas grow on trees. But they don’t, in either the literal or the figurative sense: in fact, they’re in danger of extinction. I knew almost nothing about bananas when I landed in Costa Rica in 2011. I was a young scientist from the University of Michigan on a scholarship to study abroad, with fantasies of trapping and identifying tropical fish in pristine rainforest streams. But the institute I was enrolled at brought us to a banana plantation, and from the moment I set foot on the dense, dark clay beneath that endless green canopy, my fish fantasy evaporated. I became fascinated by the fruit I found growing on large, towering herbs, lined up in rows in their tens of thousands. Bananas are one of the oldest known cultivated plants, but were first grown in the United States in the 1880s, by entrepreneurs involved in early plantations in Jamaica. This new fruit was odd-looking, originally with seeds, and would grow only in very particular tropical climates. For years, the fruit was an unreliable product due to its short ripening period; storms at sea or delayed trains meant that these early banana salesmen would often open shipping crates full of rotten, unsellable fruit. But as advances in transportation and refrigeration shortened the time it took to bring bananas to market, they rose in popularity, cleverly marketed as a grocery staple, a fruit for the whole family. However, the banana that people ate in the early 20th century was not the one we know today. There are hundreds of edible banana varieties, but to standardise production, banana companies selected a single type to grow: the Gros Michel, a large, flavourful banana. Gros Michel did well up until the 1950s. But then a fungus known as Fusarium wilt, or Panama disease, rapidly infected entire plantations, and caused a global collapse in the banana trade. The industry quickly found a replacement, a banana resistant to Panama disease, called the Cavendish. But while these new bananas were filling a growing Western appetite, Cavendish suffered from the same flaw that brought down Gros Michel: monoculture. When a population lacks genetic diversity, its members have a heightened risk of succumbing to disease. Genetic mutation and variation allow some individuals the opportunity to develop immunity to pests or diseases. With bananas, that is basically impossible, because there is no genetic difference between them. Plantation bananas are sterile and produced via cloning; baby banana plants sprout from the base of adult banana plants, identicals in miniature of the adjacent giants they will soon become. Staking the fate of a fruit on monoculture is dangerous in the extreme. It’s only a matter of time before some bug or fungus strikes, and many experts believe that strike is coming very soon. Already, plantations in Asia, Africa and elsewhere have been wiped out by a new strain of Panama known as Tropical Race 4. The disease is highly contagious, and earlier this year, further cases of TR4 were confirmed in Australia. Ecuador and Costa Rica, the largest banana exporters in the world, are one contaminated boot away from an epidemic. And unlike in the 1950s, there is no successor, no banana variety that lives up to the taste, transportability and ability to grow in monoculture. With no variety to take its place, the banana as we know it could be commercially defunct. Perhaps most terrifyingly, this problem isn’t limited to bananas. The same way bananas are facing an epidemic, so is agriculture at large. Our focus on growing food in homogeneous blocks of land, as if they were giant outdoor manufacturing plants, is a natural process with nature taken out of the equation. And while there are many who believe in the power of technology to help put food on our tables, it is perhaps far past time we started to question the assumption that this is the only way to feed the world. It would be nice to think that the large corporations who own the plantations producing bananas are looking into new systems and considering intercropping, organic methods or agroforestry – but they aren’t. The same economies of scale that promoted monoculture fit hand-in-glove with exploited labour, environmental degradation, and excessive amounts of pesticides. At the plantation in Costa Rica, I often asked workers about their families, and several of the men gave a heavy sigh, saying that they had no children. It was only later that I discovered many chemicals historically used in the banana industry are believed to cause sterility in men (indisputable connections between illness and chemical spraying are difficult to prove statistically). I never once saw a worker carrying a sprayer backpack with anything more than a handkerchief over his mouth. For the consumer, a banana might cost only a few cents or pence, but the full cost of that perfect yellow fruit is extracted elsewhere – from workers, from the environment, and from the future stability of our agriculture. Instead, we might consider banana producers all over the world who are growing alternative (and delicious) varieties, and producing dried bananas, banana puree, and banana vinegar. Many of these smaller producers are growing in sustainable ways, paying fair wages and protecting their environment by using few or no agrochemicals. Their biggest barrier to the market is that they cannot compete with giants such as the Swiss-owned Chiquita and the US-owned Dole. If consumers adjust expectations and demand different banana products and varieties, this could prompt better agricultural practices across the industry as a whole, and create a more secure food future. As things stand, it is time to admit we don’t pay enough for bananas.